Walk around the city and you might see a cat atop a busker’s piano, a parrot fake-flying on a bicycle’s handlebars or a hefty pig on a leash making the sidewalk look awfully small. We cherish our pets in a big way here, and much is made of the fact that dogs and cats outnumber children under 18, leading to the reasonable deduction: Dogs and cats and their ilk are our kids. It’s hard to argue against it, so why bother? Instead, let’s celebrate some of the many reasons our furry/scaly/feathery BFFs love this city as much as we love them. Roll back the sleeve or hitch up the pant leg of an animal-owning, tattoo-loving Seattleite and you’re sure to find some sort of pet tattoo. From photorealistic portraits to names and paw prints and more, inked tributes to our best friends exploded in the late 1990s, says tattoo artist Alexis Witt of Two Birds Tattoo in Greenwood (twobirdstattoo.com). It’s now a regular feature of her work and of many others around town. 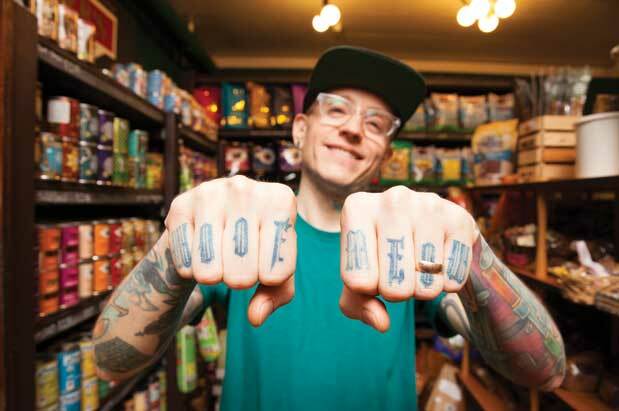 Last fall, Witt inked the words “MEOW” and “WOOF” in a delightfully counterintuitive heavy-metal script on the fingers of David Bovard, the proprietor of Pioneer Pet Feed & Supply in Pioneer Square. “It’s the language I’ve been speaking for years,” Bovard says of his latest tattoo. Most of his other tats are not pet-centric, except for one that peeks out from his inner bicep as he gestures—a lifelike portrait of his Boston terrier-pitbull-mix dog Irko, based on a favorite photo taken at a skate park. Though Irko, who inspired Bovard to open his store, has been gone for several years, in this way, the loyal pup remains at his side. Inspired by the cat cafés of Japan, where patrons pay a fee to spend time with staff cats, Seattle felinophiles are planning to pounce with at least two in our part of the world. However, in a distinctly Northwest twist on the inspiration, most of the cats at our cafés will be available for adoption. Seattle Meowtropolitan (seattlemeowtropolitan.com) aims to open in a still-to-be-determined location on Capitol Hill by mid-2015. The café founders, Matt Lai, who formerly worked in online marketing, and Louisa Liu, who currently works in health care, are relying on funding through Indie GoGo. At press time, they’d raised 21 percent of their $50,000 January goal. Kitty Kafe (seattlekittykafe.com) is the passion-driven project of three recent Seattle Pacific University grads, who plan to solicit Kickstarter funding this spring, with hopes of opening in fall 2015 or spring 2016 in the University District—because who needs furry companionship more than dorm-bound undergrads? Dog lovers want a piece of the action, too: Plans for Central District–based PLAY Doggie Daycare’s (playdoggiedaycare.com) second Seattle location include a mezzanine bar for pet owners overlooking the dog play area. At press time, PLAY on the Hill was slated to open downstairs from the new Chophouse Row development on 11th Avenue on Capitol Hill early this year. 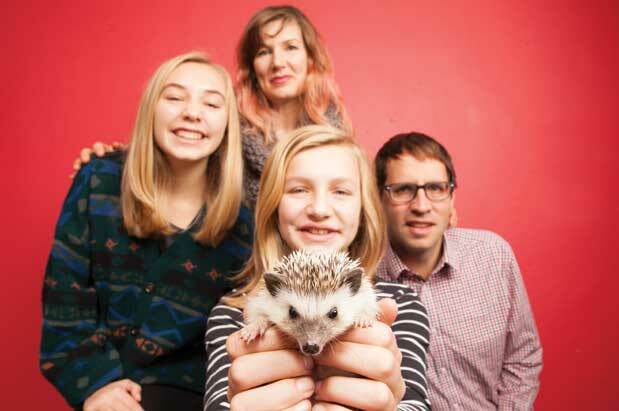 Hedgehogs’ high cuteness factor is just one of the many reasons 12-year-old Iris Seiwerath wanted to add Poppy to her Central District home. Iris Seiwerath: I chose a hedgehog because I always thought they were so adorable. Also, hedgehogs are my favorite animals, and when I learned you could have a hedgehog as a pet, I immediately wanted one! SM: What is the most surprising or cute thing your hedgehog does? IS: She will spike up into a ball and make a hissing/sneezing noise, and it’s surprising, yet cute. IS: Cleaning her cage can be a hassle, because you have to do a lot of steps in order for it to be clean, and you have to clean it at least once a week. She runs all night on her wheel, which is noisy, and she poops, a lot, while she runs, so her wheel is covered in poop, and it takes a lot of high-powered pressure-washing with the hose to get it off. SM: What does she eat? IS: She eats dried cat food; she doesn’t really have any special treats. Once, she ate a bug. SM: Do you ever take Poppy out in public? IS: Not really in public, but we’ll take her to people’s houses. You can put her in your pocket and no one will know she’s there. People either really like how she looks or are creeped out. SM: What do her spines feel like? IS: They are not that spiky. When she has them down and you pet her, they feel kind of bristly. When they are up, they are sharper and kind of feel like small tacks. SM: What is the best thing about owning a hedgehog? IS: You can cuddle with her (even though she is spiky) and dress her up in funny clothing (she’s also very photogenic!). Before you freak out thinking we’re suggesting getting high with your cat—relax. That is not cool, as the two veterinarians behind the Sultan, Washington–based Canna Companion (cannaforpets.com) know well. Tetrahydrocannabinol (THC), the psychoactive component in marijuana, is toxic for dogs and cats. But animal docs Greg Copas and Sarah Brandon are at the forefront of creating low-THC cannabinoid supplements from industrial hemp to address health and behavioral challenges for our furry friends. The potential medical benefits cover a huge range, from helping with aggression disorders, anxiety and canine dementia to reducing arthritis pain, seizures and digestive issues. If anyone understands the appeal of cats harnessed to the power of the Internet it has to be Ben Huh, CEO of Cheezburger, which launched in 2007 as a site dedicated to quirky cat pictures. Today, Lower Queen Anne–based Cheezburger explores the frontiers of what passes for funny online in myriad sites. Here, he breaks down the elements of Internet cat fame. SM: With Henri, Cooper, Colonel Meow and other celebrated felines, it seems like Seattle is an incubator for cat fame. Ben Huh: There isn’t really a geographic epicenter of cat stardom, but Seattle is as close as it’s going to get. BH: In cities where there are more dogs than children, you are seeing a much greater emphasis on pets as children. There’s so much hope and investment into the celebrityhood of cats; it’s a similar phenomenon to a parent and their child star. SM: But why aren’t we talking about Henri Le Chien Noir or Keyboard Mutt? Are cats funnier than dogs? A cat has very complex emotional requirements; a dog does not. We end up ascribing the complexity of human relationships to cats on the Internet because it becomes this humorous way of relating human emotions, but in a nonthreatening way. SM: That’s a good fit in the passive-aggressive Pacific Northwest. BH: What better way of passing along your passive aggressiveness than in the form of a cat picture? I really can’t think of one. SM: Who is your favorite viral cat of all time? SM: OK, how about a local pick? BH: Le Chat Noir, he’s got a great personality. 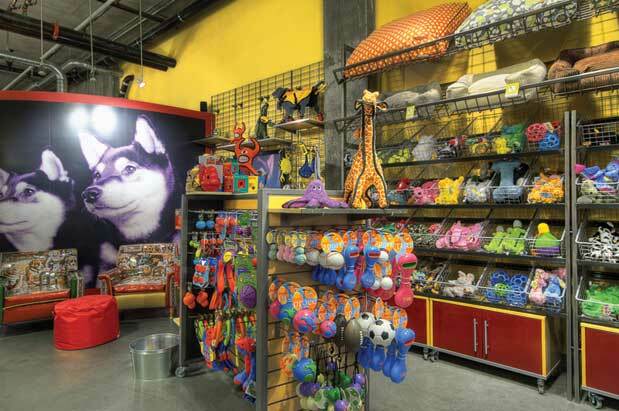 Here are five ways to indulge during a staycation with your furry buddy. Bake your own dog bone on a griddle in the lobby of the Hotel Monaco (hotelmonaco.com) during the nightly wine hour for guests. Order a peanut butter, raw liver and egg smoothie from room service at First Hill’s Hotel Sorrento (hotelsorrento.com). Take full advantage of the towels (soft blanket and treats) in the Pampered Pooch Basket at The Chambered Nautilus Bed and Breakfast Inn (chamberednautilus.com), after a long and most likely muddy walk in Ravenna Park two blocks away. 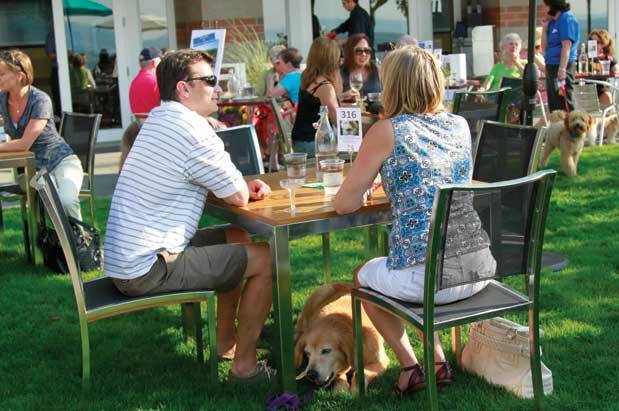 Sidle up to the bar with your best buddy during “Yappier Hour” at the Woodmark Hotel’s Beach Café in Kirkland (on select Monday evenings in the summer; thewoodmark.com), hosted by a black Labrador retriever named Woody Meg. Treat your beleaguered buddies to full R&R at Hotel Max (hotelmaxseattle.com), where they’ll set Whiskers up for a professional pet massage and get Spike some time with a dog/cat acupuncturist for his depression. Isaac and Amber Cooper’s Covington home is full of animals: their three beagles (Molly, Lola and Pedro), a cat named Sidney and four rescue goats (Oliver, Otis, Charlie and Lily). SM: What convinced you to adopt your first goats? SM: What are they like? IC: Oliver is a sweetheart, very tenderhearted and curious about everything we’re doing. Otis is a bit of a spaz at times and is the most spontaneous in his actions. Charlie is the most talkative and a bit melodramatic. We’re still getting to know Lily, but she is very sweet and likes to snuggle. SM: How do they play with each other? IC: They mainly play by head-butting. I built a climbing structure for them, and one will climb up a ways, then rear up on his hind legs and come down, ramming heads with his buddy. They’ve gotten more frisky as the weather’s cooled down. SM: What is the most challenging part of living with goats? IC: Take your pick: knowing when to quit acquiring goats, holding more than one at a time or trimming their hooves (goats don’t like to stand still, unless you want them to move, that is). Aside from that, they’re very easy to take care of. Not at all what I expected. SM: How do they show affection? IC: This is what sold us on goats. They love to be held (except for Charlie). Every night before I close them in their house, I sit down in a lawn chair and hold them and brush or pet them for a while. If you’re not petting them when they think you should be, they’ll take one of their hooves and pull on your hand until you start petting them again. Remember when it seemed as though every Seattle neighborhood had a dog bakery—or rather, barkery? Most in that first wave of canine confectionaries have gone the way of all dog edibles, but a few survive and thrive, including Scraps Dog Bakery (South Lake Union, 900 Lenora St., Suite 120; 206.332.9663; scrapsonline.com), which combines canine-centric baked goods (such as Seahawks dog bones, and applesauce and peanut butter cannoli) with a solid selection of pet staples and boutique offerings. Taking the idea beyond mere takeout treats is The Dining Dog Café and Bakery in Edmonds (9635 Firdale Ave. N; 425.314.4612; Facebook, “The Dining Dog”), which offers four-course sit-down dinners starting with mocktails such as chow-tinis, served around a dining table. The toughest part of opening our hearts to shorter-lived companion animals is precisely that—their relatively brief stint on the planet. But researchers at the University of Washington’s Healthy Aging and Longevity Research Institute are working on that. They believe the cancer drug rapamycin, which has already been shown to lengthen the lives of small mammals such as mice, could extend the lives of dogs by two to five years, or at least improve a dog’s health span (the number of years he or she is healthy) by delaying cancer and improving cardiac function. In even better news, you and your dog can be part of the research. Seven- to 9-year-old pet dogs in the 70–100-pound range are eligible to participate in a low-dose rapamycin trial, administered under the care of clinical veterinarians. In addition, all dogs can participate in a large-scale longitudinal look at the genetic and environmental factors that influence a dog’s life span. 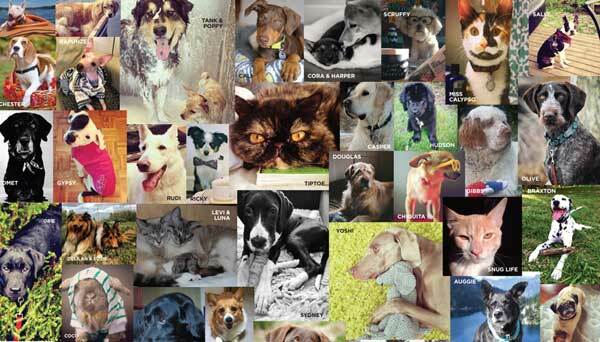 Donate to support the research and learn more about participating at dogagingproject.com. Below, the most popular registered pet names by zip code. Time to think outside the Lucy box? For more than seven years, Patricia Clark has run Serenity Equine Rescue and Rehabilitation Center on her farm in Maple Valley. In that time, she and a group of volunteers have saved 146 horses, as well as a half-dozen pigs (including one who slept in Clark’s bed). She currently has three pigs: Miss Piggy, Sophie and Peanut. Although she loves her rescue “piggies,” she discourages people from getting them as pets, as their needs are often misunderstood and/or neglected in a domestic environment. 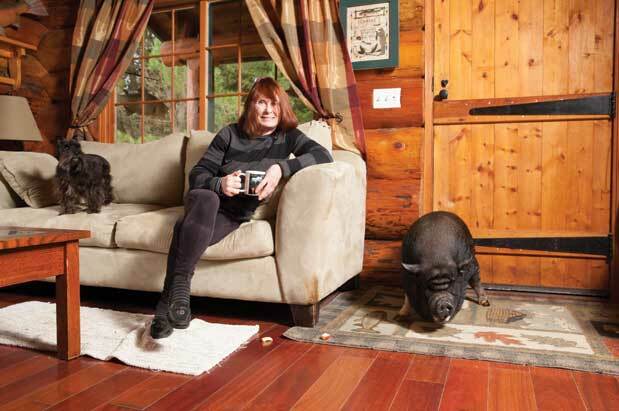 Seattle mag: Where did your pigs come from? Patricia Clark: The little Vietnamese potbellied pig came from out of a barn in a seizure of about 60 horses, a pretty big [animal cruelty] case in Auburn. The other two pigs were rescued in Arlington. There were four of them about 4 weeks old, found on the side of the road in a box. So myself and volunteers bottle-fed them for quite some time. Two were adopted, and I have the other two. SM: What is the biggest misconception about having pigs as pets? PC: That they’re going to stay small. Pigs may start small, but even my little Vietnamese potbellied pig now weighs 123 pounds, and that’s as small as they get. SM: What do they eat? PC: I make salads morning and evening for them, plus protein pellets. It’s an unfortunate thing because people think it’s cute for them to drink beer or eat candy. When Miss Piggy first came to us, she was so overweight that she could barely walk. They have very small legs, and it hurts them to support those pounds. SM: How do your three pigs interact? PC: Sophia and Peanut are brother and sister; they are joined at the hip. Unfortunately for little Miss Piggy, she was almost 2 when I took her from the situation she was in, and she was by herself, so she doesn’t have the same kind of socialization skills. Adopting a single pig is not a good idea; they should be in pairs so they can have friends. SM: Do your pigs ever interact with the horses on your farm? PC: Yes, they do, and it’s really cute. Sometimes you see them nose to nose talking to each other, and they get along really well. They’ve managed to make relationships whether we think it’s strange or not. SM: Winston Churchill once said: “Dogs look up to man. Cats look down to man. Pigs look us straight in the eye and see an equal.” Do you agree? PC: Yes. My suspicion is that many of them are smarter than the people who own them, and I really mean that. Pet detective Kathy “Kat” Albrecht, founder of the nonprofit Missing Pet Partnership (missingpetpartnership.org), moved to Federal Way from Fresno, California, six years ago. She knows everything there is to know about recovering lost animals. Her advice for when your pet goes missing: Don’t give up early. “Finding a lost pet is a process that sometimes requires a lot of work and effort,” she says. “We’ve consistently seen that the people who work aggressively and refuse to give up are the ones who tend to recover their missing pets the most often.” While Albrecht doesn’t lead searches anymore, she still trains pet-detection teams. Nothing spoils a vacation kickoff like the stricken look in your dog’s eyes as you drop him off at the gulag, er, kennel. No more! Leave it to Seattle’s dog-loving geeks to perfect an Internet-based fix that means a vacation for you is nearly as much fun for your pup. In the mode of Airbnb and Sidecar and launched to much fanfare in 2011, Belltown-based Rover.com is now a national network of 25,000 potential BFFs in almost 9,000 cities (more than 1,500 in Seattle). Dog-sitters (and some cat-sitters) post a bio and set their own prices and schedule. Owners browse prescreened candidates and client reviews before requesting a meet-and-greet and making a final decision (including, your place or theirs). A recent search in the 98101 ZIP code found sitters from $18 to $75. 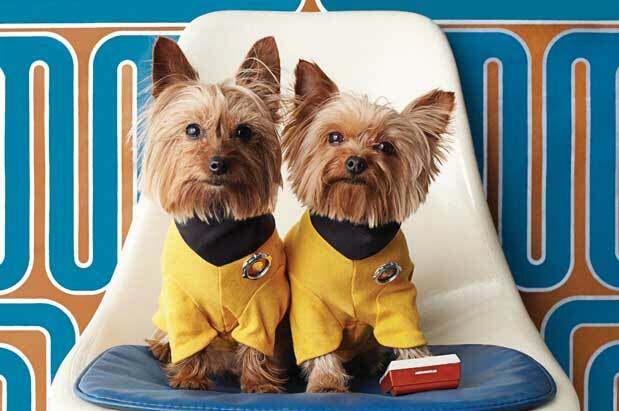 Rover.com’s complimentary pet insurance and 24/7 emergency vet support add to your peace of mind. 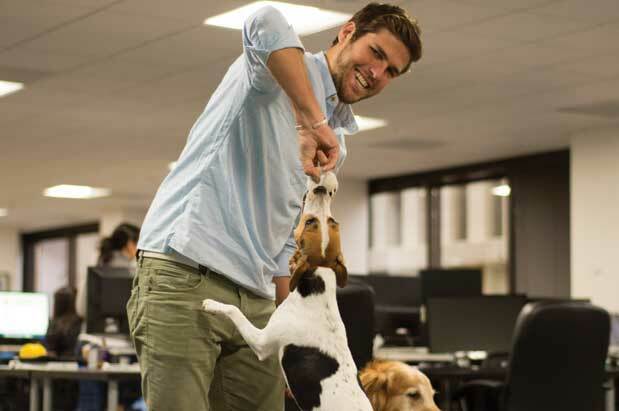 With an infusion of $12 million in venture capital in 2014 and the installation of a webcam in its dog-friendly office (rover.com/rover-cam), this deep-pocketed startup is one to watch. A small-animal masseuse, such as Jennifer Streit (handstopawsanimalmassage.com), who provides therapy to ease post-surgical pain and/or reduce stress levels, as well as increase mobility and general health for dogs and cats. An acupuncturist, who works to establish the natural flow of healing energy in the body, and can address a range of problems, from chronic pain to kidney disease. At Kingdom of Basil in West Seattle (kingdomofbasil.com), veterinary acupuncturist Lena McCullough brings a holistic health approach to her work with cats, dogs and rabbits. A psychic, of course. Finally, your buddy can tell you what’s on her mind. 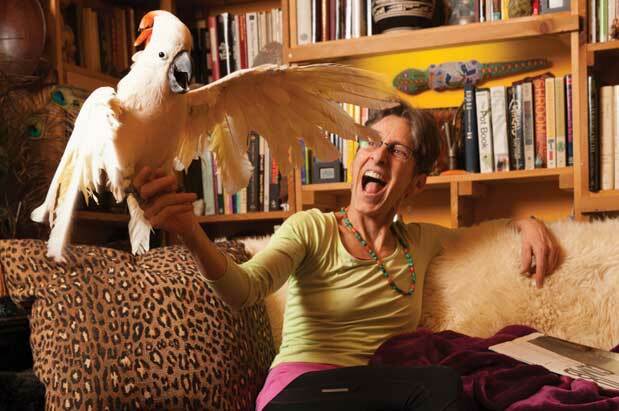 Animal communicator Karen Cleveland of Bothell (karenclevelandandtheanimals.com) acts a mediator between humans and their animal companions, focusing on everything from behavior and health changes to illness and loss. A dogini. Since Doga teacher Brenda Bryan moved out of town, there’s been a decided lack of actual downward dogs in Seattle but BooBoo Barkery and Boutique in Kirkland plans to offer yoga with your dog classes starting in 2015. Visit booboobarkery.com for details. 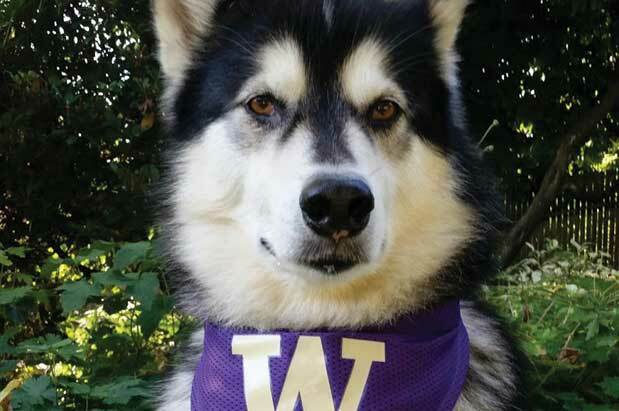 No one really cares that Dubs, the University of Washington’s Huskies mascot, is actually an Alaskan Malamute, because he is so dang handsome, rocks his purple bandanna and never loses his sh*t (figuratively or literally) as he trots across the gridiron on the craziest game days. Curiosity may not always kill the cat, but it sure makes a cat owner—not to mention the local songbird population—anxious. Cynthia Chomos of Ballard wanted to give her tabby, Serena, a stimulating outdoor experience without worrying that she would wander off or be injured. 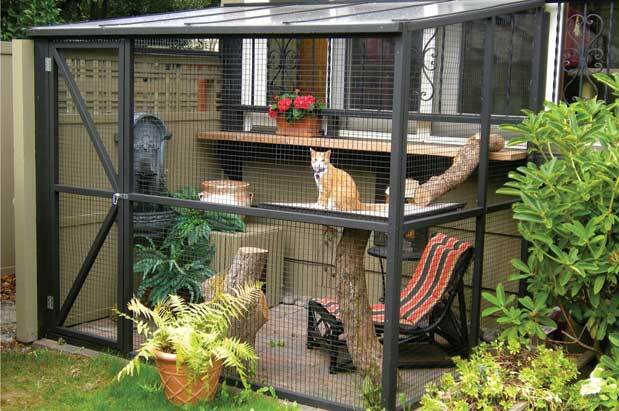 A year ago, the feng shui consultant, general contractor and animal lover turned that motivation into Catio Spaces (catiospaces.com), outdoor enclosures in which cats can securely experience their environment. Muraco Kyashna-tochá rescued Big Bird Bubba, a male Moluccan cockatoo, 18 years ago from a bar in Thurston County, where he was neglected and mutilating himself by picking at his chest feathers (not an uncommon fate for these high-maintenance pets). Kyashna-tochá and Bubba live on Capitol Hill, where she runs Washington state’s oldest medical marijuana dispensary, and where you may see them on warm days, when Bubba rides on the handlebars of her bike with his wings extended in the breeze. MK: I love cockatoos, which are among the smartest of all parrots and playful. They are truly joyous if you let them be so. Everything in life you can learn from a bird. SM: How smart is Bubba? SM: How is a bird different than a dog? MK: Bubba has my life span. He’s 27, and he’ll live 50 more years. An animal that lives long term thinks long term. SM: How does Bubba show affection? MK: Every night—every night—he will cry and not sleep if we don’t do this: We cuddle in bed. He will be right by my face. He will coo me, kiss my face—sweet nibbles—and snort. He snorts when he’s happy. SM: Do his loud noises ever bother you? MK: Male Moluccans make the Godzilla noise at a loud volume. (It can be heard eight blocks away.) The key to managing the noise is he must be happy and well-adjusted, which means not bored, fulfilled, with friends and an active social life. What is more annoying is his “chatter.” He will have low-volume discussions all the time. The noise and commitment factor is why I really don’t think people should have these guys as pets. Bubba isn’t a pet. He’s my partner, literally. MK: He is not a pet. He is a 3-year-old child that bonded with me. He thinks he’s my partner....Men dating me get that sense, and it is not always comfortable. Frankly, he’s more loyal and more fun to be with than many men I have met, so we cruise better each passing year. A beloved Lab with stomach issues, itchy skin and a cancer diagnosis, inspired former Queen Anne dog walker Kelley Marian to seek out a natural immune-system booster for her dog. And when she didn’t find what she wanted—she made Green Juju. Working with a canine nutritionist and veterinarians, she formulates raw blends that feature seasonal ingredients, such as Woodinville-grown kale, zucchini and dandelion greens, plus buffalo bone broth, coconut oil, lemon, ginger and turmeric. The frozen supplement—to be added to a dog’s standard diet—is $8 for 16 ounces and available at various independent pet supply stores around the city or directly from Green Juju in Ballard (greenjuju.wordpress.com). The Himalayan dog chew also started as a make-shift solution to a canine challenge. In 2002, Mullane Shrestha was a Peace Corps volunteer in Nepal and her adopted dog Chaos needed a chew toy. With no pet boutiques nearby, Shrestha turned to chiurpi, the dried cheese-curd sticks made from boiled yak and cow milk that Nepalis use as a long-lasting, high-protein snack. Her dog loved them, so she and her husband Nishes set about making a version safe for dogs. And what began with one farmer in Nepal, now relies on 3,000 farmers (visit himalayandogchew.com for a list of stores). 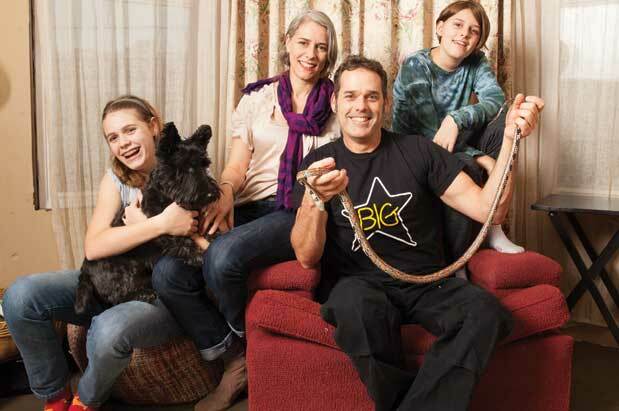 Ballardites Jeff and Julie Angeley have owned their corn snake since before their daughters were born. At 27 years old, Corny is the oldest corn snake in Seattle, beating out the average life span in captivity by five years and counting. SM: How did you get Corny? Julie: Jeff, who is from Florida, was visiting his sister in Gainesville on the outskirts of the University of Florida campus, summer of 1987. Jeff grew up there, spending a lot of time snake-hunting in the swamps and woods by his house. So when he saw a rotting log on his walk, his instincts had him turn it over to see what was underneath. There was a clutch of eggs there, so Jeff grabbed one and took it home. Back in his apartment, he incubated the egg in a Champagne flute with vermiculite, inside a fishbowl filled with a bit of water, topped off with a plate. Corny hatched maybe six to eight weeks later. SM: How long is she? JA: About 6 feet when stretched tip to tail, or at least she was in her heyday. She is an old lady now, so might have lost a few inches. SM: Why do you think she has lived so long? JA: Kindness and love. But also a totally controlled, strictly managed environment (of love!) and no predators (no king snakes, crocogators, birds of prey or small mammals in her cage). JA: Corny has been eating live food since she was a baby. Mostly it’s pinkie or small mice or rats, occasionally an egg. Watching her eat a mouse was a great introduction to the facts of life for the girls—I have images of them as toddlers watching Corny eat, all wide-eyed and amazed and a bit shocked. Now that she is old (and a bit blind and senile), eating live food is a bit dangerous. She will often overshoot her prey and bite herself (Jeff has to pry her jaws off her tail) or she’ll let a mouse or small rat bite her before she can wrap them up. SM: What is your favorite thing about Corny? amazing, she is gentle and friendly (unless you’re a mouse). Tulla and Maxine: She is low maintenance, and it’s cool that she is so old and unusual. Julie: She takes up very little real estate in our small house, and we can leave for the weekend without getting a snake-sitter! A fish with a strap-on shark fin (“dream big”), a bulldog with a veterinary cone collar (“bad day”) and a pair of kitties with laser-beam eyes (“pew pew kittens”)—the T-shirt designs from SoDo-based Choke Shirt Company allow you to let your animal freak flag fly with a redeeming shot of hipster cool. $26–$38 at chokeshirtco.com and at various shops around town, including Andaluz in Columbia City, Venue in Ballard, Retail Therapy on Capitol Hill. 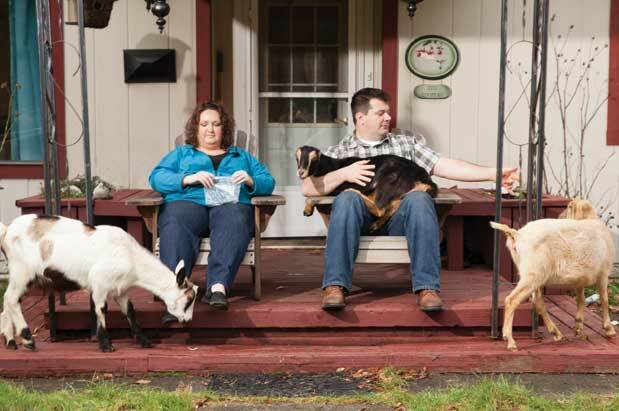 A 41-year-old vegan and guardian of three cats, Bellingham attorney Adam Karp is part of a small but growing legal community working to change the way the law treats companion animals. 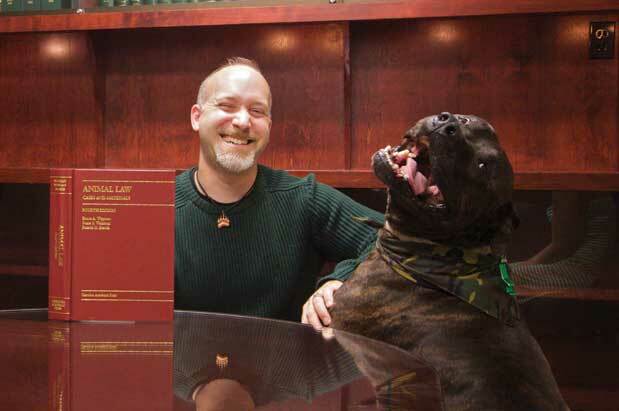 He began his animal law specialty practice in 1999 (animal-lawyer.com), right out of law school. Despite the sneers of the established bar at that time, he advocated for an animal law section of the Washington State Bar Association, and succeeded in 2002, bringing legitimacy to the field. Karp handles cases in Washington, Idaho and Oregon, and co-teaches animal law at the University of Washington and Seattle University law schools. SM: What sort of cases do you handle in your practice? Adam Karp: At any time, I have approximately 60 open cases I loosely categorize as: vet malpractice, bad dogs, custody, feline-related cases, shootings, horse cases, human injury, dog injury and miscellaneous. SM: Shootings? How does that come up? AK: Mostly police shootings. I see these with disturbing frequency. Itchy-fingered cops dispatching a dog with haste. Dash cams help energize and educate the public on this issue. I hope such cases will dwindle with increased media coverage, better training for police and more awareness by city attorneys regarding municipal exposure to civil liability. SM: What are the more common injury scenarios? AK: Injury cases include dog on dog, dog on cat and dog on human, the latter often resulting when people try rescuing a companion animal being attacked or just a standard dog bite. SM: How does custody of a pet become a legal issue? AK: Custody cases constitute a fair amount of my practice, although not in divorces, because there, parties have attorneys handling their property division (and pets are still treated as property in Washington). I get involved when disputes arise between those in committed intimate, dating or roommate relationships, or when there’s a contractual relationship, like those between animal rescue organizations and adopting or foster “parents” or between breeders and pet purchasers. SM: How have animal rights and animal law evolved? AK: As a society, we recognize that nonhuman animals feel, suffer and have interests akin to our own that should be legally protected. Today, the public wants to bring more cases and be heard, where 50 years ago, they would have been chagrined to speak up. Bringing an animal law case is no longer ridiculed or trivialized by the courts; instead, jurists acknowledge they present legal problems as valid as any other. Writer and dog lover Dana Standish tours the city’s 14 designated off-leash areas to bring you an at-a-glance guide to all the spots your pup can cavort without fear of reprimand and free of the strictures of the dreaded leash. For three years, Laina and Bret Smith have been raising a pair of brightly colored, low-maintenance geckos in their Ballard apartment, enjoying Heidi’s and Dora’s quirky behavior and the occasional impatient stares while they wait expectantly for crickets. 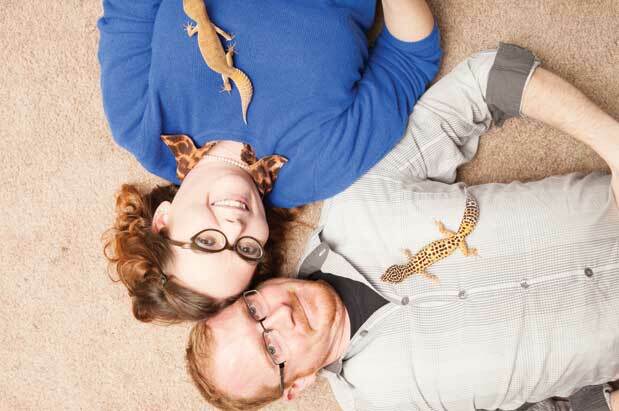 Laina Smith: Where we live, there is a “no furry pet” policy, and Bret had always wanted a pair of leopard geckos. 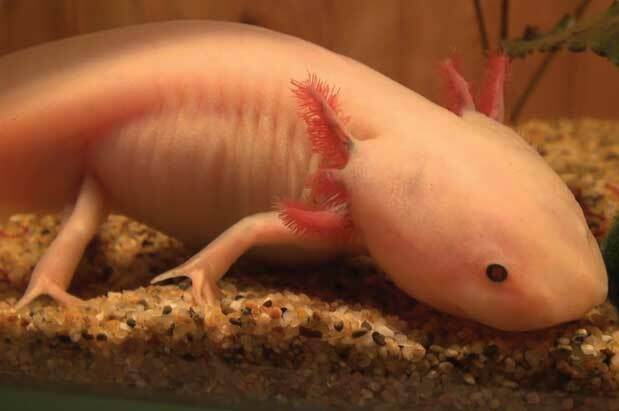 They seem to enjoy our company, so unlike other pets that live in terrariums, they are fun to bring out of their rooms and watch them roam around our home and crawl all over the both of us. SM: Where did they get their names? LS: Live, juicy crickets dusted with calcium powder! We’ve fed them waxworms a few times, but since their diet mainly consists of crickets, they sort of look at the wiggly worm with confusion, eventually chomping down on it. LS: Dora loves her calcium so much that she routinely moves her little bowl over closer to her room for easy access. She drags it over right outside the entry to her cave. Dora is definitely a fan of room service! LS: We like to keep Heidi and Dora social, so whenever we get a chance, and if everyone is open to the idea, we will take them out for our friends and family to visit with them. If people aren’t into the “idea” of reptiles, it can be a little weird at first, as you can feel their little toenails as they wander up and down your arm. People are often surprised at how docile they can be. 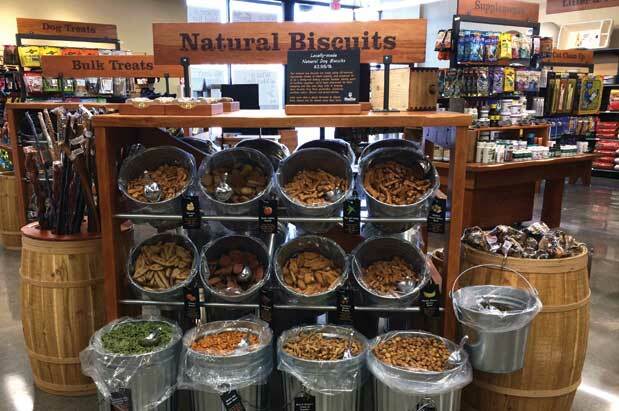 The best pet-supply stores compel us to forego the ease of online ordering or grabbing basics during a grocery store run. They are hubs where customers (sometimes with pets in tow) pop in for necessities, and then hang around for more: experienced, compassionate and animal-loving owners dispense information, advice and support. 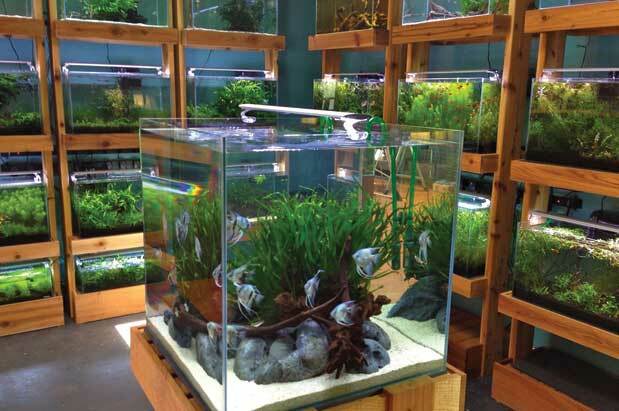 In Seattle, we have a wealth of owner-operated shops that support Seattle’s pet-raising style with offerings ranging from natural foods and remedies to positive reinforcement to rescue work and more, including, but not limited to: Wally Pets in Wallingford (4411 Wallingford Ave. N, 206.547.0301; Facebook, “Wally Pets Wallingford”); Pioneer Pet Feed and Supply in Pioneer Square (87 ½ S Washington St.; 206.437.8566; pioneerpetseattle.com); Petapaluza in Fremont (114 N 36th St.; 206.632.4567; petapoluza.com); and Health Mutt in Roosevelt (1207 NE 65th St.; 206.729.2649; healthmuttseattle.com). 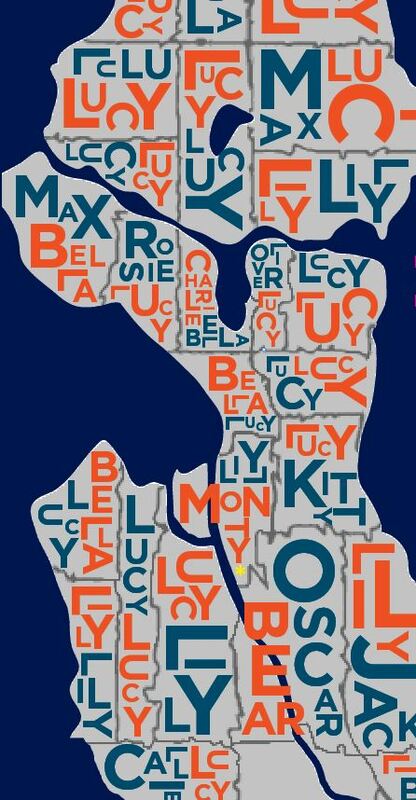 Plus, we’re home to two beloved whole-food-forward, rescue-supporting, local-loving chains: Mud Bay (33 locations in the greater Seattle area and Portland; mudbay.com) and All The Best (11 locations in the greater Seattle area; allthebestpetcare.com). 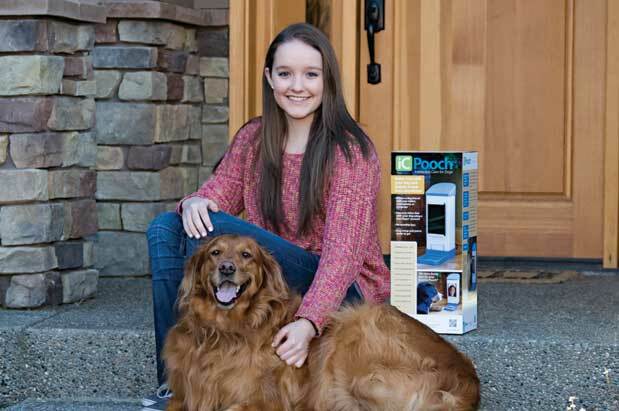 In a world where video chatting, texting and calling are everyday occurrences, Brooke Martin asked: “Why isn’t there a way to remotely connect with our pets?” Then the 12-year-old entrepreneur from Spokane set out to create that way with iCPooch—a device that lets you video-chat with your dog. Martin was inspired by her dog, Kayla, a rescued golden retriever who suffered separation anxiety. With her dad Chris’ help, she engineered a source of distraction and comfort in the form of a white-and-blue plastic tower, about the size of a blender, that hooks up to a tablet or smartphone and dispenses treats into a built-in dish (which, let’s face it, guarantees a more meaningful check-in for all). The Martin family traveled all over the country (presumably, checking in with Kayla along the way) to pet conventions, young inventor competitions and the “Inventions We Love” GeekWire summit, where Martin took home first prize. She is proud, and rightfully so, of her ability to help solve a problem that plagues so many pets, and she’s savvy enough to know she’s making a big difference for worrying pet owners as well. $149 (phone or tablet not included), available at icpooch.com and amazon.com. Not quite convinced? Murophobes may want to check out Ratapalooza (ratapalooza.com), Seattle’s annual rat expo. It’s a lot like a cat show, according to Rosskamp, who helped launch the event 15 years ago. 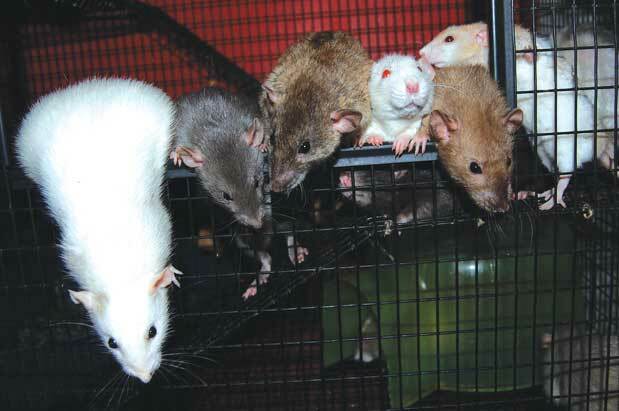 There is a standards show, with primped rats competing for best in show, followed by the less serious competition in categories such as longest tail, squishiest rat, most amazing rescue rat and cutest kitten (which is the term for a baby rat). The 15th annual Ratapalooza is on April 4, World Rat Day (of course), and is open to the public: 11 a.m.–4 p.m. $3/children, $5/adults. Ballard Community Center. Competing rats must register three weeks in advance.